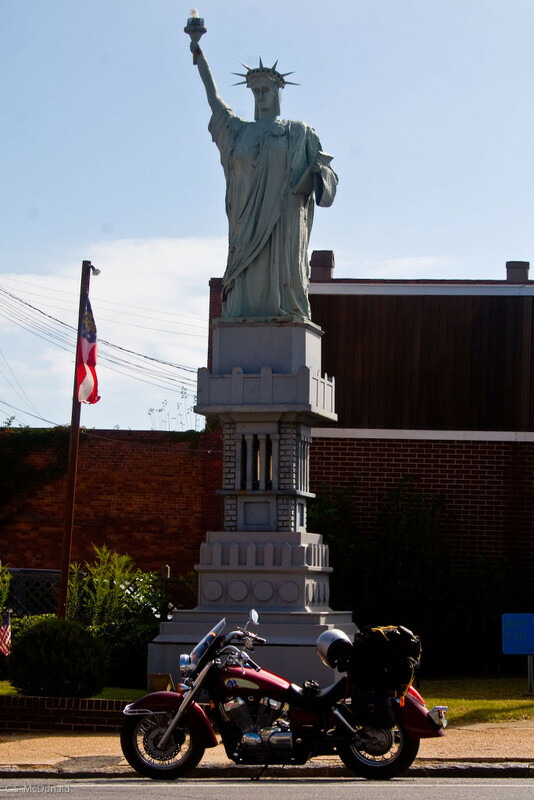 I took these pics during a stop on my Route 30 ride on Columbus Day. I haven’t been able to find out if the cabins are still available for rent (some of them looked as if they have full-time residents) and the Oak Forest Restaurant was closed that day. I’ll have to scoot back down there and get an update sometime soon! 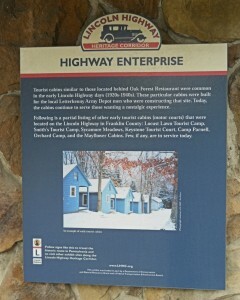 Tourist cabins similar to those located behind the Oak Forest Restaurant were common in the early Lincoln Highway days (1920s-1940s). These particular cabins were built for the local Letterkenny Army Depot men who were constructing that site. Today, the cabins continue to serve those wanting a nostalgic experience. 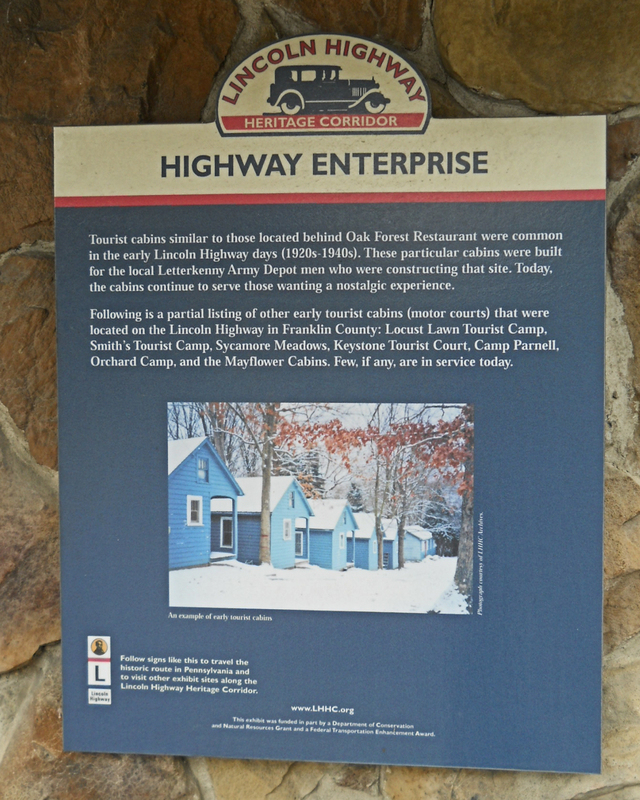 Following is a partial listing of other early tourist cabins (motor courts) that were located on the Lincoln Highway in Franklin County: Locust Lawn Tourist Camp, Smith’s Tourist Camp, Sycamore Meadows, Keystone Tourist Court, Camp Parnell, Orchard Camp, and the Mayflower Cabins. Few, if any, are in service today. These are cool. You could probably get a thick book just from the history and sights on Route 30 in Pennsylvania. Or perhaps make it a two-volume endeavor, and do East and West. Such a fascinating road.